Posted October 17, 2017 by The Editors . At the Center for Integral Wisdom, we are committed to changing the source code of culture to create a world of Outrageous Love, through Outrageous Love. At the core of that vision and mission is a new, Integral narrative for living that we articulate, evolve and deliver into culture through a set of groundbreaking books, courses, live and online events, and media. This whole website that we lovingly refer to as our web-plex – because it is actually a whole set of websites – is brimming with exciting media that are conveying this grand narrative to you. Many of these media are totally free of charge to give everybody the possibility to study this important material. And now we make it even easier for you to access these great teachings. As of now, we make all our free content available without sign up or login necessary. Just start exploring our website now and you will find hundreds of media for FREE. Although you now have access to our whole free content throughout all our portals, feel free to sign up for as many Free Offers in as many portals as you like. These Free Offers contain some of our best content that we consider ideal for you to get started. And the best part is that you receive it right into your inbox in easy to handle portions. With your unique login, you will also be able to comment on many of our pages and blog-posts and start a dialogue by doing so. 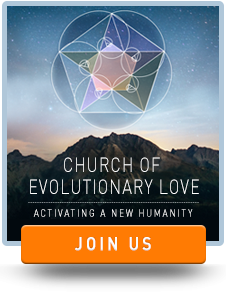 Also make sure to join us for our weekly online Evolutionary Church with Barbara Marx Hubbard, Dr. Marc Gafni, and Lisa Engles. If you want to dive even deeper into the teachings, we offer a host of Live Events, Online Courses in our Media Store as well as a Premium Membership. Sign up for the Premium Membership for only $15/month or for $129/year (a savings of $51! ), and get streaming access to the entire archive of Integral Wisdom content both here and on www.marcgafni.com, containing videos and dialogues exclusively offered through the Premium Membership.